At Precision Air & Heating, we believe in Integrity, Quality and Trust. Our goal is to be a leader in installing Trane, Goodman, Amana, York, Lennox, Ruud, Carrier, American Standard, Tempstar, Rheem, Bryant as well as our built tough Precision and Precision Plus units. We also sell and install some of the best ductless systems. All of our installers and technicians have been trained to the highest standards, making them capable of delivering the best AC service Tempe AZ can provide. We service Tempe and offer excellent air conditioning service to the community. We aim to become the best HVAC company in Arizona, with every customer completely satisfied with our services. That’s why we offer a 100% satisfaction guarantee. We replace and repair air conditioning and heating systems all throughout the greater Phoenix area including Mesa, Scottsdale, Chandler, Glendale, Gilbert, and Peoria. At Precision Air & Heating, we install quality air conditioners in Tempe, and we can help you choose a new air conditioning system from one of the top brands. Our specialist will work with you to ensure energy savings on your part. We offer quality AC repair and tune ups that will extend the life of your air conditioning system. Our technicians can service a variety of air conditioning systems, and we offer installations for a variety of heat pumps, air conditioners, centrally controlled systems, and more. Give us a call today and we would be glad to provide the best Tempe AC repair possible. 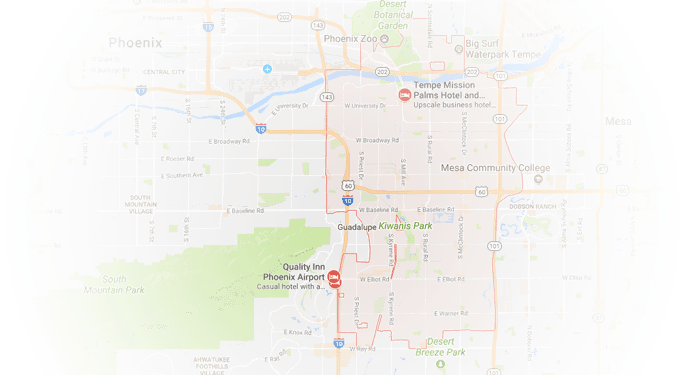 If you are looking for outstanding maintenance, heating installation and repair services in Tempe, contact Precision Air & Heating. Additionally, we offer preventive maintenance and tune-ups. Are you looking to reduce your heating bills? Call us today and our experts will help you select an energy efficient furnace for your home. We would be happy to provide a free estimate and show you how much you can save. Precision Air & Heating offers comprehensive services that can help to increase heating efficiency and reduce heating bills. Anyone who lives in Tempe knows that having an indoor air quality system is a must. Precision Air & Heating can help you install such a system. We can help you improve air quality with duct replacement and duct sealing. We also provide the best air duct cleaning service Tempe can give. Call Precision Air & Heating for commercial HVAC services in Tempe. We offer the best in commercial heating and air conditioning systems. Our yearly tune-ups and repairs are sure to increase efficiency. In the event that you need repairs, our team is available for emergency HVAC repair service. 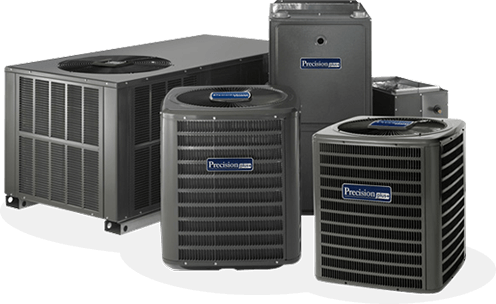 Call Precision Air & Heating for all your commercial cooling and heating needs.